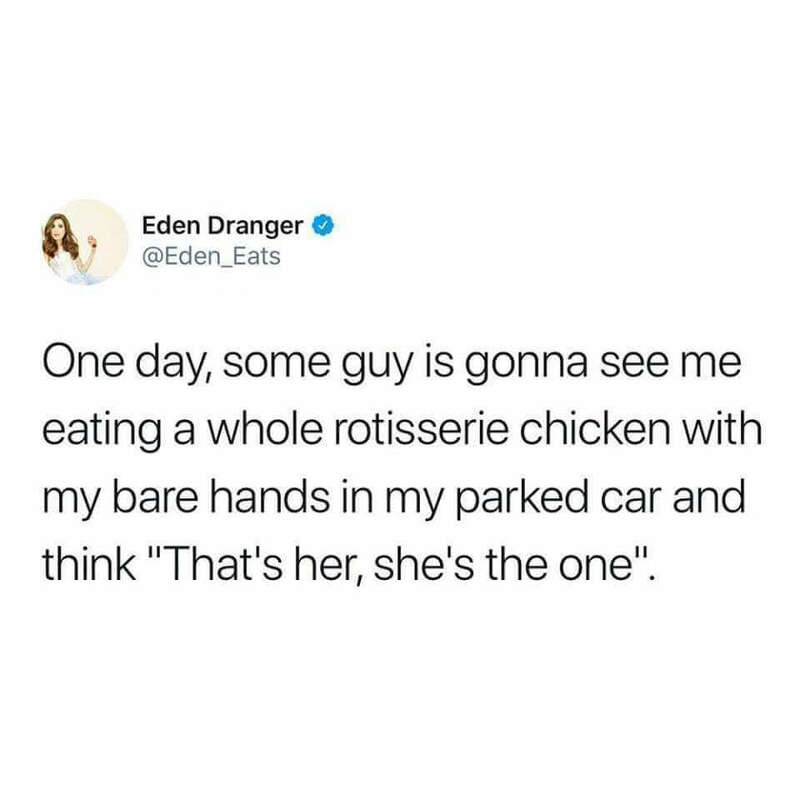 The whole chicken bit or thought she’s the one? Eating a whole chicken in the car with my bare hands. Not my finest moment, but far from my worst. She has to take a number, I fear. She’s my favourite. “Rotisserie chicken”. Damnit. Now I want a rotisserie chicken.